It’s another day ahead, and you stretch your arms in anticipation as you wake up, with the sunlight creating shadows in your room. You turn your head to check the clock, but as you gaze upon the numbers that tell the time, you spring out of your bed and sit up straight. You did it again. You missed another meeting just because you forgot and slept late the previous night. Being an adult is hard, all the responsibilities keep flowing in every single day. When you have handled one issue, another one comes. It’s a struggle, and the many dates you need to remember are just gonna get whisked away in the wind because of the number of things in your head. We understand this, and this is why we want to help. 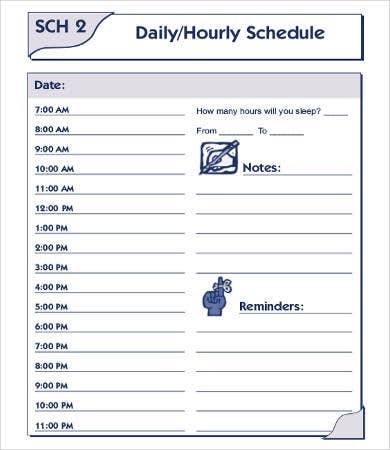 We have provided you some daily calendar Schedule Template samples that you can use to keep track of all the to-dos for the whole day. Time management. It’s not easy to manage your time, but with a daily calendar on your hands, you can manage ahead and estimate the tasks and activities you are able in a specific time period. Increase productivity. More tasks could be done with proper time management. Keeping a daily plan will put you in a system that you need to follow. Decrease anxiety and stress. 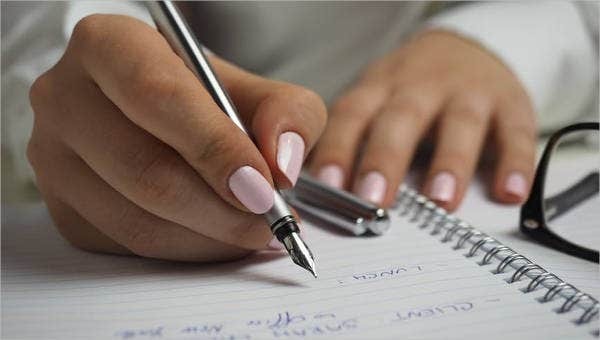 You will feel confident that you won’t forget anything just because you have already put them all in writing, thus decreasing stress and anxiety. More time for self. Having planned out the whole day ahead gives you more time to pamper yourself, since you have estimated time for certain your obligations and responsibilities. Creates goals. Most of us create goals on the many tasks for the day. With a systematic timeline, there is no doubt you’ll be achieving them. Now that you have read what pleasure it is to have a daily calendar ahead, are you ready to check out our Daily Schedule Template and Daily Work Schedule Template? A daily calendar is a great thing for those who likes to focus on a specific day, not worrying about other days. This puts all the concentration on making the perfect timing to do all the tasks. 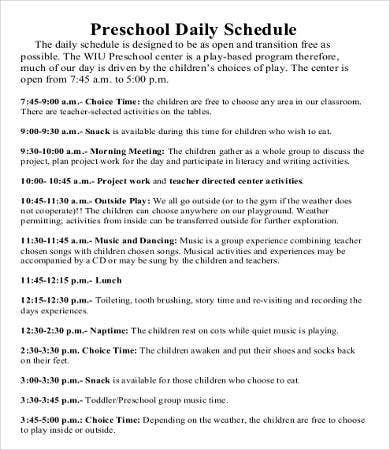 Daily schedules for preschool. 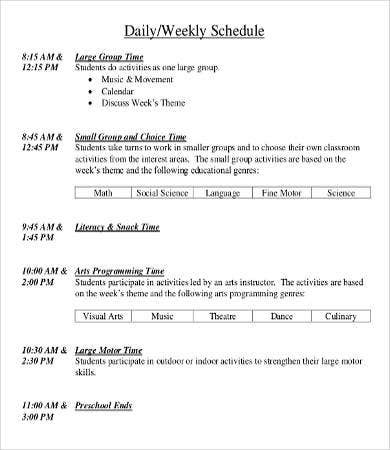 Preschool kids need the most organizing since they require a lot of activities to keep their attention span in control. 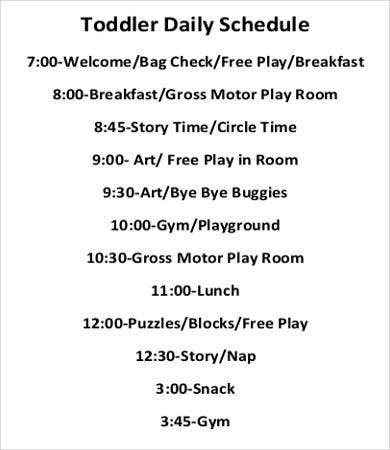 Toddler Daily schedules. Download this template to help you guide and keep track of your little one’s needs. 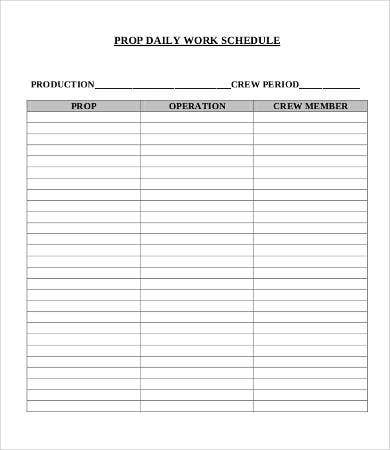 Daily Work schedule for work purposes. For assigning team members in work and creating schedules for them. Medicine schedule. 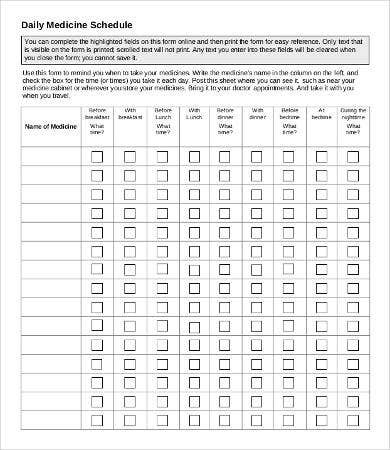 Keep track of the medication you have to take at the right time. 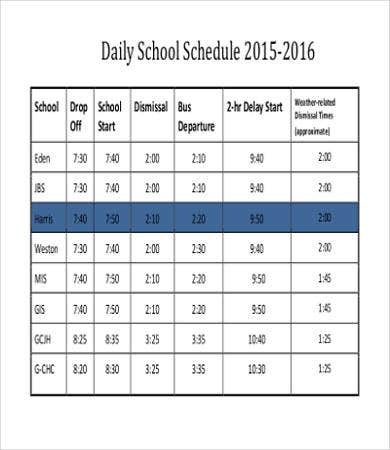 Student schedule for students. 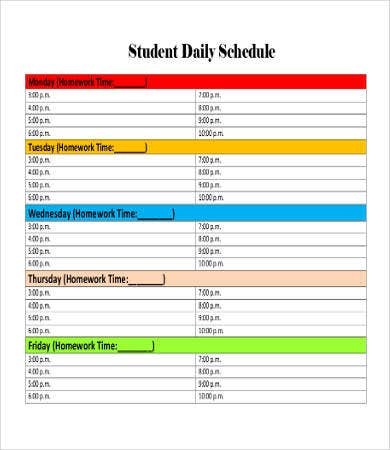 Plan study sessions by yourself or your peers or plan extracurricular work. 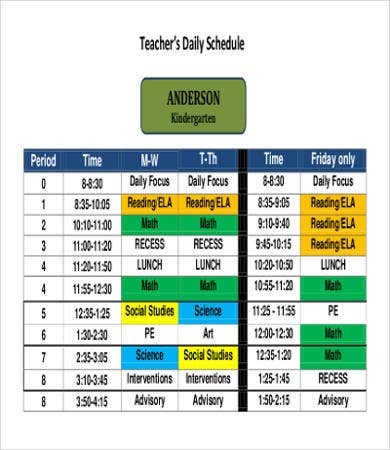 Teacher schedule. More than anyone, teachers need to keep track of the lessons or classroom activities they mapped out during the day. Now you’re all set to get more organized in every day life. Just download, print, and use our free templates that we have offered for you so you could tackle the day ahead. 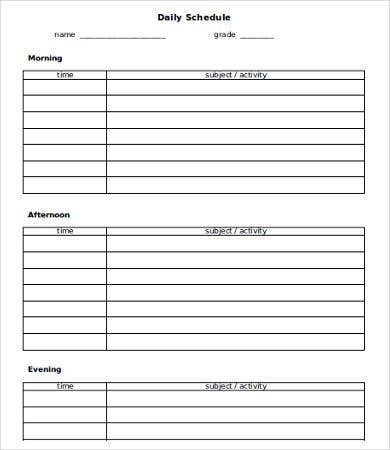 If you like to keep track of your responsibilities on an hourly basis, check out these Hourly Schedule Template samples from our website.